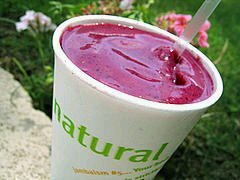 The "nutrient-dense" fruit juice health craze is sweeping the nation with Acai berry based drinks at the forefront. But separating “hype” from fact is critical to insure that you’re health gets the most bang for the buck. This site explores why fruit juices “work” and fruit's role in overall health & disease prevention. Plus you’ll learn how to read labels and ask tough questions of the many marketers peddling their Acai based drinks. This site has no affiliation with any specific drink. Wondering what all the Acai-based fruit juice fuss is about? Why are there so many anecdotal health testimonials from nutrient-dense Fruit juice drinkers? The simple explanation is that Fruit consumption is scientifically linked to prevention of chronic diseases, as well as many "lesser" ailments. Hundreds of research studies back this up, while there is no such evidence for Supplements. Yet most Americans eat little to no fruit.... and not surprisingly, we're getting sicker and fatter as a nation. Research says you need a wide array of fruits from a wide color spectrum because antioxidants are densest in the skins of fruit, and a red skin fruit will deliver a different set of phytonutrients than a blue, black, green or yellow skin fruit. Therefore, the best juice blends contain many "super fruits", not just Acai or just Goji (real name is Wolfberry), or Pomegranate, Cranberry, Blueberry, Kiwi (real name is China or Indian Gooseberry now also being marketed at Amalaki) etc. Super-fruits are considered "super" based on their nutrient-density and array of antioxidants and disease fighting compounds. Studies show only 5% of Americans eat 5 or more servings of fruit and vegetables per day. Most of us do get some vegetables in our diets... after all, restaurants include vegetables in every meal, but rarely do they offer fruit. At home it's the same thing... add broccoli, eat a salad, etc, but few American's add fruit to dinner. So if you drink an antioxidant-rich super juice with multiple super fruits, that is a powerful change to most American's diets. Many Doctors or skeptics will say "just eat more fruit". Yet we don't. Why? Mess, expense, spoiling, and inconvenience are the excuses Americans use for not eating fruit. Peeling an orange gets under your fingernails, citric acid stinging your eyes, and creates a mess of peels. Bananas rot too quickly. Grapefruit is a pain to scoop out.... and for some, fruits are too acidic or sugary and can upset stomachs. Nutrient density is a problem too. Fruits today are grown in nutrient-depleted soils, they are picked way too early and shipped way too far... so Diabetics who need fruit in their diets can't eat much of what is found on store shelves because they are too high in sugar and too low in nutrients. But what consequences do we pay for our fruit avoidance? We get ever increasing incidences of nearly every disease from cancer, to heart disease, to diabetes, obesity, blindness, gout, fatigue... you name it... and if you have an ailment... it is likely that a higher consumption of fruits would help. And it's worse then you think... due to today's farming techniques, nutrient-density has declined in fruits commonly available in stores. So most fruit eaters still don't get what they need in their diets. The good news is that scientists and entrepreneurs are bringing exotic nutrient-dense fruits to the States from around the world. The "Functional Beverage" industry is one of the fastest growing segments of the "Wellness Industry" as American's turn to convenient and natural alternatives to youthful skin, more energy, and help with every day aches and pains. "Super fruits" with off the charts nutrient-density like Acai boast antioxidant rating 10 times higher then anything you can find on your store shelves. Drink just a few ounces of a nutrient-dense fruit juice and you get about 100% of what many nutritionists recommend for daily Antioxidant intake. No mess, no clean up, and as convenient and tasty as it gets. Supplement pills have ZERO scientific backing for disease prevention. Fruit does. (read more on this below). When studies are reviewed, pills do not fare well. Interestingly, when studies are reviewed, fruit juices do fare very well in disease prevention. For example, regular juice drinkers were 76% less likely to get Alzheimers in one study compared to people who did not drink much fruit juice. 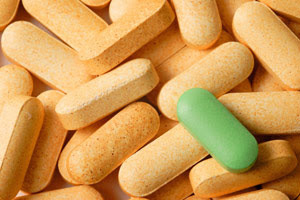 In addition, supplements are hard to swallow and easy to forget and often contain contaminants. Most juices taste great, and if your juice is nutrient-dense enough, you can drink just 2 ounces when making coffee in the morning, and drink 2 ounces just before brushing your teeth at night, get all the antioxidants you need, AND it's EASY to remember. For the best information on any particular fruit juice, visit that company's web site. But watch out for hype filled sites that make "the only" type of claims. There are so many nutrient-dense super fruit juice drinks now, that anyone saying "we are the only one to...." should not be trusted until or unless you do your own research to verify the claims. And please don't rely on questionable over-reactive blogs and internet sources. Look for a thorough "FAQ" section with little or not hype and you've probably found a good product. This Blog's intention is to avoid hype, and look closely at labels. Plus, for skeptics of antioxidant rich fruit juices, this blog looks closely at why these drinks "work". Finally, this Blog points out to the best articles and research we could find so if a Diabetic, for example, wants to know if they can drink a super-fruit juice, we'll look at diabetic testimonials and informational sites to see what they say. Before getting to the article list... the other HUGE thing that people love about some juice blends are the anti-inflammatory properties. For those with pain and inflammation... you've got to try these juices to see if an all-natural remedy exists for you. While you want to watch out for sugar and caffeine additives like "agave" and "guarana", natural substances like essentially fatty acids and glucosamine may be added for pain and inflammation relief. * Antioxidants from Supplements not beneficial? A new study shows people who drank fruit and vegetable juices more than three times a week were 76% less likely to develop Alzheimer's disease than those who drank juices less than once a week. You can read an article about the study here. The researchers believe it's the "Polyphenols" found in fruit are the reason juice drinkers had a lower incidence of Alzheimers. One of the reasons the best fruit juices use the entire fruit - not just the squeezed juice - is that Polyphenols are highest in the skin of fruit. Of course the most nutrient-dense fruits on earth, like Acai which has extremely high levels of anthocyanins, a group of polyphenols that give the deep color to fruits and vegetables, have an even higher antioxidant value. So while the above study is a general fruit-juice drinking study, if you're concerned about Alzheimer's, and you don't currently drink a lot a fruit juice, imagine the benefits you might be by drinking a blend of many nutrient-dense fruits - and just how easy drinking just a few ounces of fruit juice is vs. lots of glasses, or peeling lots of fruit. Antioxiants don't work.... or do they??? A lot has been said and written about the recent review and report of 68 studies on the mortality rates of those who do and don't take antioxidant supplements. Read the CNN article here. So where does that leave those of us who are now dedicated fruit juice drinkers? In luck, I believe!!! The good ones do NOT contain synthetic supplements. They are not "spiked" with things like Vitamin C to increase their antioxidant ratings. They are made of whole fruits. There is NO dispute about the health of getting your antioxidants and nutrients from food. Study after study shows those who eat fruits or drink fruit juice reduce their risk of chronic diseases by one-third or more (fruit juice drinkers 76% less likely to get Alzheimers: read here). Whereas vitamin supplement studies show NO impact, or worse in the case of both the ConsumerLab.com study and the review of the 47 "better quality" studies. So the title of the CNN article (above) and of several other articles that recapped this recent review of supplement studies are mis-characterizing the results. Antioxidants have NOT been proven to have no effect. But you should be careful of vitamin supplements. I personally am a vitamin supplement fan. But have come to realize that they are just that... supplemental to my diet when I feel I need them... but something I should carefully consider before trying any new brand. The nutrient-dense fruit juice I drink is a company and a product I've come to trust, and I've personally felt better overall since I began drinking it daily several months ago. I've also heard numerous anecdotal health claims from others. Adding whole food non-synthetic antioxiants to your diet is supported by science, so I'll keep drinking my juice, thank you very much!! How about you? Feel free to add your thoughts in the comments area below. "Inflammation is the evil twin of oxidation," says neuroscientist James Joseph of Tufts University. "Where you find one, you find the other." That would include not only such obvious inflammatory conditions as asthma and rheumatoid arthritis, but also ailments never previously associated with inflammation—such as atherosclerosis, Alzheimer's disease, colon cancer and diabetes. Suddenly medical puzzles seem to be fitting together, such as why hypertension puts patients at increased risk of Alzheimer's, or why rheumatoid-arthritis sufferers have higher rates of sudden cardiac death. They're all connected on some fundamental level..."
"While drugs usually block a single target molecule and reduce its activity dramatically, he says, natural anti-inflammatories gently tweak a broader range of inflammatory compounds. "You'll get greater safety and efficacy reducing five inflammatory mediators by 30 percent than reducing one by 100 percent," he notes." Certainly, a diet high in fruit... or high in nutrient-dense fruit juice (a few ounces per day is all you need to meet nutritionist recommended levels of antioxidants)... are "natural anti-inflammatories". What's the Acai fruit juice fuss about??? It's about both short and long term health.... easy to remember and tastes great.... with a target market of virtually everyone in the country because we just don't get the phytonutrients in our diets we need. Wondering why you're sick, tired, or living with a disease??? It's probably a nutrient deficiency... and if you can't put down 5+ fruit servings a day (of nutrient-dense fruit), a multi-fruit (not just Acai) juice with the most nutrient-density possible, is a phenomenal alternative. Finding out how and where the Acai is sources... and then how and when it is processed is critical if you want a premium-grade juice. And not just the Acai in the just (again there is a lot of scientific evidence that high consumption of a wide spectrum of fruits helps to prevent most major chronic diseases from heart disease, to cancer, to alzheimers, obesity, diabetes, etc) so consider if the fruits are picked from the Wild (the best), or Organically grown (second best) or regular farm fruits grown using pesticides (the typical nutrient-depleted fruits on our store shelves). With the typical American diet containing less than 1 fruit serving, and with commercially grown fruits declining in nutritional value in favor of high-yield production, the above diseases have been on the rise for years with no end in sight. When the juice is made from "whole fruit" ESPECIALLY the skin (but seeds and pulp too) you get the maximum nutrient density, fiber, orac value, phytonutrients, etc. Wild assures the highest quality, nutrient-density, and least environmental contamination. Especially if the wild area is the untouched Amazon. Exotic fruits picked from the wild ARE expensive. This makes for a premium brand of the highest quality... and just like fine wine... you have to pay a premium for it. Many people are claiming they're seeing "miracle" health improvements from the MLM fruit juice they are drinking.... but any rocket boost to their diets might have similar results... it's just that most of us are not getting a variety of high-quality fruits in our diets.... and who is eating pomegranate regularly, let alone aronia, acai, even cranberry and kiwi???? There is a lot of science behind FRUIT consumption... and that is what these MLM juices are all about. Deliver the fruit in an easy to consume format. There is also growing research that shows that it is phytonutrients and polyphenols found in fruits that are far more important than individual or processed supplements. To get the phytonutrients you need the whole fruit (skin especially), and it's most dense when picked from the wild. One quick example - red wine grapes dense in anthocyanins are credited with the "French Paradox" of lower heart disease... yet wine is relatively low in anthocyanins compared to products that are dedicated to health. Premium products are expensive... but when sold via MLM it's pretty easy to get yours for free. ORAC is the most commonly used measurement of antioxidant content. 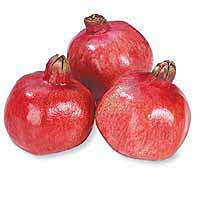 In doing internet searches to find the ORAC scores of various fruits and foods Acai rarely comes up because it is still so new in the United States. And so you see sites like this one that state that "Goji" (a made up name for Wolfberry) has the highest Antioxidant ranking of any food at 25,300 per 100 grams. However, as the Dr. Schauss study (see article here) of the Acai powder "OptiAcai" is 1,026.9 per gram, or 102,690 per 100 grams. So Acai - even in powder form after the patented flash pasteurization - is 4 times great than "Goji". Of course some Acai based drinks contain Wolfberry (again, Goji is a name one particular company made up to brand it's Wolfberry products). 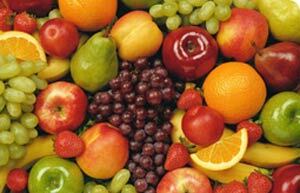 Nutritionists recommend a variety of fruits. 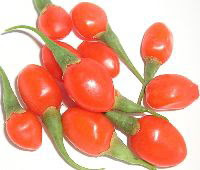 The above "Goji" site sells a product called Ningxia Goji™ Goji Juice which appears to be only Goji. And it costs $160 for 1,000 milliters and they recommend you drink 60 to 120 ML's per day which means your $160 lasts 8 to 17 days. That really expensive no matter how you look at it.... but even more so when you consider it's just one fruit. Acai trounces Goji.... but Goji is a "super fruit". But so is Amalaki (which is Kiwi or Indian Gooseberry) and Blueberry and Pomegrate and Cranberry and so on. Find a juice with all of these and more and you're in good shape. Don't rely on just one... not even when it's Acai. Everyone is jumping on the Acai bandwagon and using the same catch phrases of "nutrient-dense" and "high antioxidants". Each also comes with marketing hype and claims to be "the only" this or that. For example, Bossa Nova says " is the only juice that lives up to the superfruit promise." And also says "more açai juice per ounce than any other juice". Unfortunately they can get away with statements like these because most people aren't going to compare each competitive juice deeply. Nor will most people read between the lines of what is really being said, and wasn't isn't really being said. For example, the first Bossa Nova statement of "the only juice" to live up to the "superfruit promise" is essentially a meaningless statement. What promise? Whose promise? What juices are they comparing themselves to and which ones have they not compared themselves to? To me that's just marketing speak, and virtually every single competitive juice makes similar statements. When talking about competitors they say "A quick glance at the ingredient list of other brands has us scratching our heads: What do white grape, pineapple, apple and evaporated cane juice have to do with antioxidants? Not much. They are all inexpensive ways to inflate juice content, but do little more than pile on sugar. At Bossa Nova we never use cheap juice fillers. They take up precious space reserved for açai." Really? Well, let's go back to ingredient #2 on their label "agave" which is form of sugar. Why would you bash a juice that uses a juice to sweeten it when you use agave? It makes no sense except to unsuspecting people who buy the marketing hype. One last thing that appears misleading to me. The top of their bottles say "nature's highest antioxidant fruit". Below that is the name Bossa Nova. To me this looks like they are saying that Bossa Nova is the "highest antioxidant fruit" when in fact that they can only legally and ethically be refering to the Acai berry. Unfortunately it's clear from their own ORAC charts that their Acai is very weak in ORAC at only 167 on the ORAC scale. The 2006 PubMed study of "OptiAcai" came in at 1026 and other Acai in that study was in the 150 to 300 range. So Bossa Nova doesn't appear to have "the highest antioxidant fruit" despite the claim on the label. I don't mean to pick on Bossa Nova. I'm just pointing out that you can't just read a label or marketing hype and assume you've got the facts. Every juice out there uses the word "only" when they make a claim, unfortunately few of these claims can be substantiated, or have any real meaning. Next time you hear "hype", asked "compared to what" and dig deeper. This article from Neutraceuticals World states "it seems every antioxidant has been lumped into one category, even though most have different functions." I've personally found this confusing... health foods, drinks and supplements touting high ORAC scores, as the be all end all with NO specifics about their benefits - they tout them as cure-alls because of high ORAC scores. But eating Acai alone isn't enough. The above referenced article states that "a wide range of pigments found in fruits and vegetables have high levels of antioxidants, specifically anthocyanins and proanthocyanins." A variety of fruits, with a variety of colors will provide all kinds of antioxidant sources and benefits, vs. just one or two. Books such as "The Color Code: A Revolutionary Eating Plan for Optimum Health" by Anne Underwood, James A. Joseph and Daniel A. Nadeau, and "What Color is Your Diet?" by David Heber speak directly to this need. Few of the new MLM companies seem to have gotten this message. Only a few have several fruits, and fewer still have 10 or more different fruits with a variety of richly colored pigments and antioxidant sources. One size does not fit all, and even the best fruit juices aren't enough either... but it's better than what 95% of the American public is currently getting, especially if they're relying on one or two fruits, or some "goji" only drink (which is only Wolfberry), or just an Acai drink even though Acai is the highest rated fruit on earth for ORAC. So get your variety... try one with as many nutrient-dense fruits as possible!!! Nutrient-dense fruit juices are a fast growing business and more and more competitive products are coming on the market. Some with Acai, some without. The two things that jump out are that so many are one-fruit products. While Acai is considered more powerful than Goji or Noni or Amalki and so on, any product that only relies on one fruit, even when it's Acai, is missing the main point of all of the research... and that is that a wide variety of fruits with different skin colors (which means different antioxidants) is necessary for optimal health. In addition, anyone claiming to give you more than 6,000 ORAC per day is probably spiking their drink, and doesn't understand nutrition. Humans need about 4,000 to 7,000 ORAC in total per day. Even the worst eaters are getting some ORAC already, so if a drink says they have 10,000 ORAC or something silly, don't trust anything that product claims!!! Products with caffeine and sugar are NOT health drinks. They are energy drinks. If you want to drink these, that's your choice, but don't assume that because it has Acai it's healthy. Caffeine and sugar are added to give you a buzz... leave them alone if you're mainly drinking for your health. There are Acai drinks without caffeine and added sugar. Juice stands or stores are usually full of sugar. Many Jamba juice blends have hundreds and even thousands of calories. Add a dash of Acai powder... and you're still going to get fat if you drink too many of these sugar-filled drinks. No sediment probably means it's NOT made from the whole fruit... you want the skin, and you want the natural oils (which Acai is full of). If you get a totally clear drink, chances are you're drinking lots of water, and getting more sugar than you want. 7. given the above, cheap probably does mean cheaper lower quality. It's a shame you have to pay a premium, but Acai is not cheap. So if you find it cheap, ask yourself why? 8. look for something that is not perfectly clear - sediment and oils are good - that's pretty much confirms in a non-scientific way that it's packed full of nutrients. After all, why not remove it if it's not good for you since everyone would rather drink a non-pulpy sediment free drink. So shop around. Don't settle for any old Acai-based drink. And if it does not have Acai in it, you are not getting the "#1 Super Fruit" on earth. CNNMoney.com published an article entitled "Sumner Redstone's anti-aging secret". Sumner Redstone, the former Viacom CEO, who is worth $8 Billion. In the article he says he's turned "Just about every friend" into fans of this juice... and the list includes Bill Clinton, Wolfgang Puck, and cancer survivor Michael Milken. While Mr. Redstone refers to this dark purple juice as a "miracle drug", please note, juices are "food". Only drugs can make health claims. It just so happens that most American's (and apparently some Billionaires) don't get nearly enough fruit in their diets... and far too many fruits on grocery shelves are nutrient-depleted compared to 50 years ago. MLM's try to build premium products with premium nutrient-dense fruits from around the world. You simply can NOT replicate these juices with the sugary drinks you find grocery store shelves... or even the fruits which are grown for taste... not nutrients. For example, many diabetics can drink the juices put out by MLM's because they are low-glycemic, whereas most diabetics won't touch any other fruit juice because they have far too much sugar. Add such dense nutrients via a natural food, and those with less than superior diets may be taking care of some of their nutrient deficiencies. EVERYONE says we should eat more fruit... most of us don't listen... so a nutrient-dense fruit juice is the easiest, and most powerful way that I know of to get fruit into your diet. If you'd like to try the juice, I recommend buying a 3 month supply. Try a full "trial" to see if you feel an improvement in your sleep (as Mr. Redstone claims), in your energy, and overall feeling of well being and health. If someone refered you to this site, get back to them and they'll help you order the one they think is best. Or, if you are also interested in the business opportunity, or in buying at "wholesale" prices, let them know you want to "enroll" as a "distributor". Can juice end your pain? Fruit contain natural antiimflamatory properties. People with aches and pains like Arthritis, back pain, fibromyalga, shoulder bursitis or impingement... and just about any other type of joint or tendon pain... may find that diet can help their pain. Some of the MLM juices also add natural anti inflammatory substances like Glucosamine to further target pain and inflammation. Like any other claim, no one should state that any nutrient-dense or Acai-based fruit juice is proven to do anything... but many are providing personal testimonials of pain relief that they say only happened after making one, and only one, change... starting to drink their new juice every day. Personal testimonials are not scientific evidence, so my suggestion for anyone with pain or inflammation is to try a 3 month trial to see for themselves. One interesting substance is "esterified fatty acids" which according to one company "are thought to reduce pain like symptoms and rapidly promote joint health, improving flexibility and mobility." Another company marketing a proprietary blend of esterified fatty acids under the brand name "Celadrin" (read about Celadrin here) calls it a "cellular lubricant" and label the product "inflame away". The Celadrin site also says their product it clinically proven to be more effective than the combination of Glucosamine & Chondroitin, but many still swear by Glucosamine which is a natural compound found in the body that is used to help make and form cartilage. But avoid cheap Glucosamine or the high "sulfate" versions... the "hydrochloride" version which has significantly more Glucosamine in it. And being in the juice, is easier to absorb and take then the horse-pill size gel tablets you would otherwise have to buy. So a juice blend with fruits that have natural anti inflammatory properties, PLUS one with additional natural substances are a great way to try to end your pain naturally. But only you can tell by doing your own personal trial. Major League Baseball won't let you see the video of the Chicago White Sox vs. Twins game where the Sox announcers explain how pitcher Dustin Hermanson credits a particular fruit juice with his return from severe back pain back to the Majors, and how they (the announcers) and their wives have gotten over various aches and pains helping their golf and tennis games. It's copy write infringement to host that video on YouTube or anywhere else... so now you know why it's missing. But you can read Dustin's story directly from him at his site. Dustin Hermanson appears to be one of the first professional athletes... but there are many more, and growing every day. Another MLB pitcher is Jonathan Papelbon... voted "Red Sox Pitcher of the Year" in 2006 and made the All Star team that year as a rookie. His site can be found here. He's quoted as saying "As a professional athlete, I get calls and offers for lots of things," Papelbon said. "I only do those that I believe in..."
If you don't know Olympic Champion Wrestler Rulon Gardner... his story is incredible... beating the unbeaten and legendary Russian, Aleksandr Karelin in the 2000 Olympics. Rulon is now a MLM distributor... his site needs work though... scroll down and click on the photo of the fruits on his main site here. MLM juices have made it to the Oscars... watch the back room video here. I'm often asked to compare some Acai-based "Energy drink" to multi-fruit drinks that also have Acai. This is like comparing Apples to... well, caffeine. An "energy" drink is something like Red Bull or "RockStar". These are laced with caffeine and sugar and some synthetic supplements like B12. These are designed to give you a spike in energy. I've personally avoided these types of drinks because I enjoy coffee in the morning and don't want any more caffeine than that in my diet. I also avoid sugar at all costs. Acai based beverages like Zola and Sambazon appear to be healthier alternatives to Red Bull, but they appear to be closer in style to the "energy drink" category than those drinks solely concerned with "health & wellness". For one, they always seem to include some additive or another... especially caffeine or sugar (Agave, a natural form of sugar, and Guarana a natural source of caffeine - but still sugar & caffeine - are very common in their blends). Acai is known as an "energy fruit" but these beverages apparently can't rely on their Acai content to insure a noticable energy spike, so they add caffeine and/or sugar which are what I call "stimulants". Stimulants spike energy unnaturally and personally have no place in my diet (other than my 1 cup of morning coffee :). One designed as a health drink... NOT something to spike your energy so you can gamble late into the night in Las Vegas, or ski in Tahoe with a hangover is meant only to fight free radicals, to add plant-based phytonutrients, polyphenols, anthocyanins and antioxidants which aid long-term energy and health. Honestly, I'm glad to have products like Zola around if I want an energy spike since I'd rather get it from a healthier source than Red Bull or coffee. But if you think you can replace a multi-fruit drink with an Acai-only product, or an Acai-based "energy drink", then you are completely missing the point described in all fruit research. Drink for your overall health, not for a few hours of forced energy that may result in a sugar-high like crash. Stress causes all disease: "The Secret"
If you haven't already watched "The Secret " it's a DVD I recommend. In Chapter 7 of the DVD, Dr. Ben Johnson (M.D. N.M.D. D.O.) states that ALL DISEASE is "the result of stress". Hence, if we could eliminate stress, we could eliminate disease. Unfortunately, this is probably an impossibility, but we can certainly reduce stress and mitigate the damage done by stress. One of the prominent and widely accepted theories behind stress' link to disease is that stress produces free-radicals. Free radicals are said to cause inflammation, aging, cancer and so on. So all the recent books on how inflammation is the cause of all diseases is actually in agreement with Dr. Johnson... but inflammation is a stress response! Exercising, which is healthy for you, puts stress on the body. So while it's good, a person who exercises a lot should look for a means of fighting the free radicals that exercise produces. The #1 cause of divorce in America is money-related problems... a form of Emotional stress. Car pollution, or the toxic metals found in some supplements (see below post) are Environmental forms of stress. Driving in traffic to and from work each day can be very stressful. So it's no wonder nearly every major chronic disease is on the rise in America given these few examples. The good news is that I've heard anecdotal health testimonials from nutrient-dense fruit juice drinkers within each of the three stress categories... this even includes Emotional.... several people dealing with depression have said they feel an overall improvement in their sense of well being after starting to regularly drink their new fruit juice. I mentioned Emotional stress due to money problems, and emotional stress due to commuting to work.... so I'd be remiss not to point out that this blog is dedicated to fruit juices sold via MLM's which also offer a home-based business opportunity with a potentially VERY lucrative upside (read ionlyneed2.blogspot.com for more on this) where you may be able to replace both your job and your commute within a year or so. If Dr. Ben Johnson is right, and stress causes all disease, then we all should look to all forms of stress reduction, management, and towards our diet to add antioxidants from plant based foods (not necessarily supplements) to fight the free radicals that are thought to be the reason for the damage stress does on our systems. I drink an acai-based multi-fruit nutrient-dense juice to fight the free radicals produced by stress, and I do the MLM home-based business to reduce monetary and job stress, and I recommend "The Secret " DVD for it's mental approach to reducing stress. Please note: Juices are not intended to treat, cure, or prevent disease. They are simply food. Well, I surely wasn’t looking for (name of juice removed) when it found me! A dear friend that I had attended Massage School with some 16 years before, contacted me about (name of juice removed) and I told her thank you, but no thank you. I mean how good could this stuff be?! RuthE , being the tenacious & amazing lady that she is, was wise enough to keep this miraculous opportunity from passing me by and sent me a bottle of (name of juice removed). OK, well it’s here, and it sure is handsome.... what the heck, I’ll try it. After just 3 - 4 days of drinking (name of juice removed), the sharp pain in my left heel that had me limping everywhere was gone! I‘m able to take my beloved ‘Lulah for walks again! I am sleeping better than I have in years! As a Massage Therapist since ‘92 and a painter for the last 2 and a half years I have been pretty rough on my hands. Since I began drinking (name of juice removed), I now have a strength and mobility in my hands that I never thought could have been regained. Thank you RuthE....... ...... and Thank you (name of juice removed) ! The above statements are not evidence or proof of anything and are just one person's personal anecdotal story. (name of juice removed) is not a drug or medicine and does not claim to treat or cure disease. The "emerging view that inflammation... can fuel cancer" as stated by this article is the reason I've got a link to "The Inflammation Syndrome" by Jack Challem on the lower right of this blog. Yesterday's article describes more evidence found by UCSF scientists of the negative role the inflammation process plays. "We already know that inflammation accelerates skin, cervical and colon cancer, and most likely also lung and breast cancer," she said. "If we confirm that what we've discovered in the mice studies also occurs in human cancers, we may soon be in a good position to slow this cancer process using drugs already under study for severe immune disorders." This is a major reason why I'm so excited about Acai based multi-fruit juices. Numerous studies have shown that eating a diet high in fruits can protect you against inflammation, which can therefore reduce your risk of cancer, heart disease, arthritis, diabetes and other chronic diseases. No MLM fruit juice has been studied over a period of years, and none will try to become a drug, so you can't say they will prevent chronic diseases, or any other claims. But it certainly seems logical that as a blend of nutrient-dense whole fruits, containing a very high ORAC score, that it would have a very positive impact on your diet & health. There are tons of anecdotal testimonials from drinkers, but again, this is not scientific evidence. But by drinking a few ounces a day I'm adding approximately 4,000 to 6,000 ORAC units to my diet. I'm drinking my fruit, and an amount of fruit in a mere 4 ounces that far surpasses the daily recommended number of servings in ORAC value. I've personally felt short term health benefits after starting my nutrient-dense fruit juice, so I feel confident I'll also have long term health benefits associated with a high-fruit diet. Only time will tell, but it's food that scientists and nutritionists are recommending, not supplements. Plus a fruit juice is far more convenient to consume than 5+ fruit servings a day. With all the science pointing to the benefits of a high fruit diet, juice is a convenient choice for me. Try one and see for yourself. I'm not a doctor so I can't say one way or the other, but the below sites seem to say that Glucosamine has no severe side effects. If your doctor disagrees you should listen to him or her, or get a second opinion... from what I can tell it's safe... but there are rare diseases and circumstances that might be different for you. Please note too, not all Glucosamine is from shell fish. There is a plant based Glucosamine, so do your research. Even Vegan's can now get Glucosamine if it's a plant based version. One thing that is true for me that both sites warn about is how too much Glucosamine can cause stomach upset. This happened to me when I experimented by drinking extra servings of my juice. I can drink extra of the blend that has no Glucosamine without a problem. I posted this article a while back... but it deserves special attention. "Eating Fruit To Fight Cancer"
The woman interviewed is a breast cancer survivor, and now eats 21 different types of fruit per week. With only about 10% of American's even eating 5 or more fruit servings, this woman is probably representative of about 1% of American's. Breast cancer, or any kind of cancer, would scare anyone into a "prevention diet" which scientists say fruit is critical. But not just any one fruit, a variety of fruits. Once again, this is the purpose of a multi-fruit blend and why Acai-only is not sufficient. Don't just have Acai-only drinks or foods just because it's the #1 Super Food. Get a variety, and if you don't have the time, patience, or will power to eat 21 different fruits like the breast cancer survivor in the above article, then a multi-fruit blend is a convenient and healthy alternative since it is a Certified Organic blend of 19 whole fruits!!! According to the article found here, 36% of all added sugars in the American diet comes from soft drinks. This certainly lends to the one-third obesity rate, but the good news is that healthier "netraceuticals" or "functional foods" are on the rise. In fact, this segment is considered the fastest growing segment of the Supplement market. According to this same article only 28% of Americans drink either fruit or vegetable juice, accounting for just 2% of their calories, but 28% of their Vitamin C consumption. With facts like these it's no wonder that nutrient-dense fruit juices and the "functional beverage" industry is growing and being so well received. Fruits that are rich in antioxidants and Anthocyanins and Polyphenols can obviously have a profound effect on the typical American diet. "Acai: Little Berry Shows Big Growth"
The "Natural Products Insider" wrote a very informative article on the business of Acai. Read it here. It also does a good job summarizing it's nutritional content, how it's harvested and what that means to saving the Amazon, and so on. It's interesting to see just how new the Acai berry is to the US market. $3.8 million in sales during the 12 months ending November 3rd, 2005 vs. only $435,000 in sales the prior year. That is explosive growth, and still most American's haven't even heard of it yet. Pass this blog and the above article around... it's definitely something worth sharing. Acai is the world's most potent source of antioxidants (oxidative damage is thought to cause disease and aging - antioxidants are thought to be a disease preventer, and anti-ager). ORAC is the most popular antioxidant measurement and studies show the Acai berry is about 10 to 20 times higher in ORAC value compared to other berries like Blueberry which were at one time thought to be the highest in antioxidant properties. But apparently this does not mean you can just buy any Acai drink, powder or supplement. According to one scientific comparison (discussed in This article), MOST commercial Acai products are severly depleted in comparison to a recently picked berry. Acai berries begin losing their nutrient value soon after being picked. In one study only one Acai product ranked high on the ORAC scale at 1026. This Acai product has a trademarked name, "OptiAcai". Other commercially produced Acai products averaged 155 on the scale. 155 is still good in comparison to blueberries which are only a 24 per Gram on the ORAC scale, but if you're paying a premium price for Acai, you ought to expect a premium product. OptiAcai ranks a 1026 on the ORAC scale. That is 7 times higher. This article explains the study. So just don't buy just any Acai product, they are definitely not all created equally. If you buy some juice found in your neighborhood health food store, and Acai is listed as one of the ingredients, the chances are that Acai is only a small part of the juice, and the Acai used is 7 time less potent than OptiAcai. 168 servings of fruit every 4 weeks is 6 servings per day. Yikes. The USDA recommends 5 to 7 fruit servings... by the way, a serving according to them is 6 ounces - about the size of a small piece of fruit. At one point I tried juicing and bought an expensive juicer. I found it cost me a ton to buy a variety of fruits, and I'd invariably let some of it spoil by not getting to it in time. Eventually the sheer headache of the mess and clean up was too much and I gave up on my juicing fad. But however you attempt to consume 5 to 7 servings of fruit per day, I thought it would be interesting to take a second look into the cost. I visited Safeway.com and shopped their Produce section online for a wide variety of fruits, and for the cheapest option for each fruit. For example, I chose Apples in bulk at $0.80 per pound, and then assumed I'd only eat 6 ounces or 30 cents worth of apples when I had a serving. I found 23 fruits, and just averaged the cost of all of them to insure a variety if I were to do this for real. Despite apples being 30 cents per serving, oranges at 24 cents and grapefruit at 23 cents, the average cost of a serving was $1.16. The most nutrient-dense fruits were the most expensive, including blueberries at $4.08 per serving, pomegranate at $2.99 and blackberries at $2.16 per serving. Finally, I took these 3 expensive ones out, and the average of the remaining 20 fruits was $0.87 per serving. By averaging the 5 to 7 servings per day recommendation to 6, I calculated the more expensive daily cost at $6.95 per day, and the less expensive version at $5.23 per day. Now you shouldn't stop eating the fruit you already do just because you're adding a nutrient-dense fruit juice. But since the USDA says we Americans eat less than 1 serving per day, I'll be kind and calculate that you'd only need to add 5 more servings of the cheaper fruits, and that's $4.36 per day to reach the recommended amount of fruits. So.... my choices are... spend an additional $4.36 on fruit... and either juice them, or always have a piece of fruit in my mouth. Or drink a premium grade Acai based nutrient-dense fruit juice with no mess or fuss. I never ate fruit before (other than my juicing experiment a few years ago) - so I'm worse than the 1 per day, so my choice was an easy one. For me to get fruit in my diet.... and extremely nutrient-dense fruits with significant variety at that, multi-fruit juice blends are an easy choice for me. You can actually help the Amazon rain forest and global warming by buying Acai berry products. 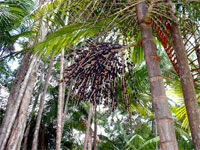 You see, locals harvest the Acai tree for the "heart of the palm" or palmito. This is actually the growing tip of the tree. With the tip removed the tree ultimately dies. Just a few years ago there was little to no market for the Acai berry as no one outside of the Amazon realized it's extreme nutrient density and ORAC value. So smart Acai based juice companies help the Amazon by paying the locals significantly more for harvesting the Acai berries only if they left the hearts of palm intact. The woman in this article eats 21 different fruits per week. No, she's not bananas, she is a breast cancer survivor and has heard that fruits can play a role in preventing cancer. If we all ate that much fruit there wouldn't be a need for a multi-frut drink. Then again, her variety of fruits is probably not as nutrient-dense as Acai, and the other powerful fruits only found in these latest juice blends. Plus, given the loss of nutrients in the mass produced fruits most people eat, the 21 different fruits may also be depleted unless she's eating organic fruits. 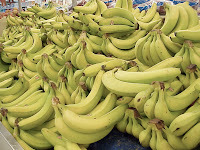 Finally, since most studies and health experts say she should also be eating 5 to 7 portions of these 21 different fruits each day.... that's a lot of bananas. For some of us that's too much effort... shop for them, carefully select them, eat them before they spoil, etc. Just the sheer effort of eating that many fruits a day is too much for busy professionals or parents, and imagine getting children to eat that much fruit? I only drink my nutrient-dense fruit juice... I've never eaten much, if any fruit. That isn't something I'm proud of, but it was my reality. And apparently the same is true of most American's since the average daily fruit consumption is less than 1 serving per day. In other words, MLM fruit juices are for everyone, and may also be beneficial addition to even this cancer survivor's diet. So don't go bananas... drink a nutrient-dense fruit juice instead. The news just gets more disturbing about our diets, even for those who think they eat plenty of fruits and vegetables. Dr. Donald Davis at University of Texas at Austin (in the Biochemical Institute in the Department of Chemistry and Biochemistry) studied nutrient values from 50 years of data from 1950 to 1999. Sure enough, nutrient value has declined significantly. In this news release Dr. Davis said "The declines, which ranged from 6 percent for protein to 38 percent for riboflavin, raise significant questions about how modern agriculture practices are affecting food crops." He continued.... "emerging evidence suggests that when you select for yield, crops grow bigger and faster, but they don’t necessarily have the ability to make or uptake nutrients at the same, faster rate." An obvious answer to these declines is to eat organically grown foods. Naturally grown foods don't use methods to increase yield that sap nutrients. And an even better answer is to consume the most nutrient-dense of all foods that are also organically or picked from the wild. This is the magic of nutrient-dense fruits like the Acai berry and Wolfberry which are ONLY found in the Wild. A fruit juice blend that contains fruits harvested from the wild can provide a superior amount of nutrients, so much so that you only need to drink a few ounces to get 100% of the antioxidants your body needs each day. Unfortunately, store bought fruits have become sad cousins to their 1950's cousins, and I don't see that changing any time soon. Don't want to travel with a glass bottle full of your favorite nutrient-dense fruit juice? Hopefully they've got Gel packs. Whether you are traveling, or just need a convenient one serving size, Gel packs are a great choice. But the value here is that you can pack these in a kids lunch box, take it to work, spread it onto your salad, or travel with it without having to worry about breaking a bottle. Personally, since I only do a shot in the morning, and one at night, taking it with me is only necessary when I travel. And so far I've packed the bottles in my suitcase trusting they won't break enroute. This coming holiday I shipped them ahead to my brother's house where I'll be staying... they get to try some, and I've got a bottle waiting for me when I arrive. But I'm off on a trip to Hong Kong and Thailand, so this time I'll bring Gel packs with me. My daughter-in-law, Megan Wolfenden, sent me a case of (name of product removed) from the new Australian warehouse that had just opened in April 2006. Megan was still living in the U.S. at the time and had just enrolled as a (name of product removed) distributor. 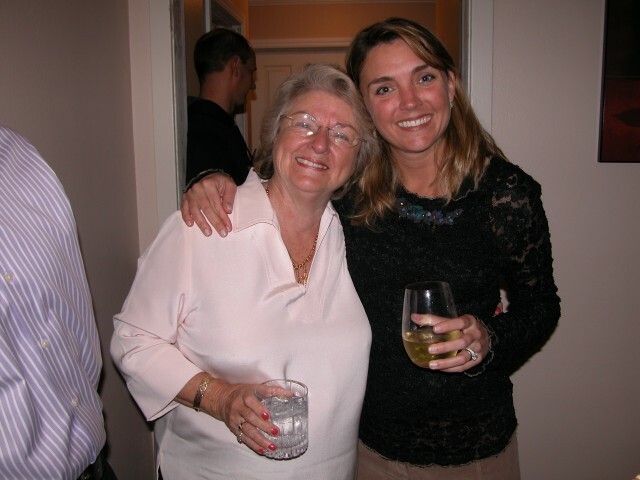 She knew that I suffered from chronic arthritis in both hands, but particularly my right hand which was swollen to almost twice the size of my left hand and extremely painful all the time and she wanted to know if (name of product removed) could help me. Normal household activities such as cleaning, vacuuming, cooking etc. were always very painful chores. Peeling veggies, lifting saucepans and plates from cupboards, nearly impossible. I could not fill my car with petrol and driving was a painful thing to do. When looking after my grandchildren, everything I had to do, such as dressing them, changing nappies, picking them up and holding them brought sadness to my heart and tears to my eyes, as I knew the time was coming soon when I wouldn't be able to do it at all. I had stopped playing tennis and golf and even swimming caused a lot of pain in my wrists and thumbs. My osteopath gave up on me as an X-ray showed my right thumb joint was "bone on bone". He sent me to a Hand Specialist in Macquarie St. who told me I would have to have cortisone injections for ever, but that he could operate and give me a "joint replacement" in my right thumb which would stop the pain, but would result in limited mobility of the hand. I rejected the operation, and said I would think about the injections. He sent me downstairs to be fitted for hand braces to alleviate further wear and tear on the joints. I had been taking glucosamine for about 10 years, drinking Noni for 7 years thinking both would help, but I had to take anti-inflammatory tablets to get through the day. I had been taking Voltaren, then Celebrex, then Vioxx (Doctors stopped those because of the dangerous side effects) and at the time the box of (name of product removed) arrived I was taking Mobic and 80 mgs of Micardis for high blood pressure daily. I also wore the ugly thumb and wrist braces from time to time, particularly when driving my car. After taking 60 mls of (name of product removed) morning and night for about four days, I began to feel less pain in my hands, then to my amazement and delight, the swelling began to subside. By the time I had finished the second bottle of (name of product removed), my right hand was almost back to the size of my left hand, and my blood pressure had dropped to acceptable levels. After everything that I had been doing with medication, supplements, chiropractors and doctors over the years all of which cost huge amounts of money, I could not believe that simply by drinking 60 mls of (name of product removed) Active twice a day there would be such a miraculous change to my health and lifestyle. I can now do all the things I couldn't do before because of the pain. Thank you Megan and (name of product removed) for changing my life. 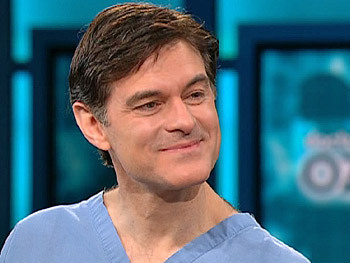 From today's Oprah - but also found on her web site - Dr. Oz encourages people to drink "100% fruit juice". But some are better than others which is what this site is encouraging you to explore. One with Acai is better than plain old Orange juice. And those that use the whole fruit - especially the skin - and not just the juice will provide far more nutrition and far less sugar than the name brand "100% fruit juice" drinks. Dr. Oz says the 100% fruit juices are high in calories - not so with many of the nutrient-dense ones sold by MLM's. I LOL'ed reading this blog from "thedeliciouslife". $5 for a Jamba Juice drink that includes Acai AND you get a sugar high, caffeine rush, can't sleep for 3 days, and have to do a 45 minute cardio workout to burn off the 570 calories - of mostly sugar. It's no wonder America is getting fatter and fatter. Afterall, you feel OK having that Big Mac for lunch because you started your day with a "healthy" Jamba Juice drink - one of which packs almost 2,000 calories in it. Most people I speak to see the inherent value of a high antioxidant fruit juice, but for the next person who does tell me the one I drink is expensive, I'm going to have to ask if they spend $3.75 on a coffee, $5 on a smoothie, or $8 on a glass of wine? I stopped at 11 fruits because the other 8 were too hard to find.... so it's probably well over $500 per month when you include rarer, and therefore more expensive, fruits. Plus I included 6 juices (not nearly as valuable as whole fruits) - Pomegranate, Cranberry, Purple & White grapes, Prune, and Blueberry juice. The fruits were Banana, Pear, Kiwi and Passion fruit. The cheapest powder form Acai and cheapest Glucosamine I found were about $30 per month each. Plus, $253.78 is ONLY 4 ounces per day of each of the juices, 1 piece of each fruit, and 2 ounces of Acai powder per day. This equates to $9.06 per day..
2. Average Starbucks Latte = $3.20 per day. And this is if you only visit Starbucks once per day. This site mentions a study that estimates the true cost of a pack of cigarettes at $40 per day due to increased cost of health insurance, increased medical care costs, and lost earnings due to "smoking related factors" among others. Using the same logic, but in reverse, an expensive fruit juice's health benefits are likely to lead to a REDUCED cost due to lowered health care costs - AND personally I'm finding work more productive with my increased energy which means I can earn more = and that is an effective lowering of your costs. Here in California we seem to consume a lot more than 1 bottle per week and/or pay a lot more than $21 per bottle, and the Acai berry alone is said to have 33 times more antioxidants than red wine grapes. As I mentioned in my personal testimonial, I have more energy all day, a pain free shoulder, an overall elevated mood, and I sleep soooo much better. This new found health is truly priceless for me. NingXia (their brand name is another name for Wolfberry just like "Goji") = they recommend only 1 ounce per day which is $1.38 per day but NingXia has NO acai, only contains 9 fruit - only 2 of which are whole fruits. USDA's fruit recommendations - how bad is the American diet? The "Dietary Guidelines for Americans 2005" is a report published every 5 years by the USDA (US Dept of Agriculture). In this report they are recommending 2 "cups" of fruit a day, which appears to be 4 "servings" per day. Yet according to the USDA's Economic Research Service, in 2004 (the most recent year studied) the average American per-capita serving of fruit was 0.85, for a total of 77.9 calories, and 5.1 ounces of fruit. What's more, this includes ALL sources of possible fruit including "soft drinks" with at least 10% fruit juice, even those with water and sugar as major components. Download all of the research from this page if you're interested. That is a VERY sad state of affairs in the average American diet. Not only that, but less than half of the so-called fruit consumption is from "fresh fruit". The USDA recommends consuming a variety of fruits, and that we decrease those foods that are less-nutrient-dense (like bad fruit juices, fruit cocktails with syrup, etc), and finally they recommend consumption of "whole fruits". While they say to avoid juice, they really don't mean nutrient-dense fruits - they mean the junk you find on store shelves.. The USDA makes no bones about the fact that increased fruit and vegetable consumption is key to reducing the liklihood of all kinds of diseases including cancer, heart disease, and type 2 diabetes. A nutrient rich, organic, whole fruit product is something Americans appear to need in a desprate way. Glucosamine's health benefits have been studied over the past 20 years and that is the additiveI'm assuming contributed to healing my Shoulder Impingement. There are quite a few opinions and studies about Glucosamine so I'll link to a couple of my favorite. DrugDigest discusses studies in relation to cartilage deterioration, arthritis pain relief, healthy skin, healing of wounds, anti skin wrinkling, and Crohn's disease and other bowel problems. It also points out that Glucosamine can irritate your stomach, so taking the recommend dosage of 1500 Mg a day is ideal. Those allergic to Shell fish, and diabetics should be cautioned according to this report, so I encourage you to read this article if either is a concern. HOWEVER, there is now also a plant-based Glucosamine, so even Vegan's can now get Glucosamine. Visit the Glucosamine Product Guide for information about dosage, and how much Glucosamine costs as a supplement - they say $30 to $80 per month, and you still want to get fruit in your diet. This article, from the Arthritis Foundation, is similar to the first one above, but a bit more concise. Healthy drinking to you all. Finally, this page is full of links to various Glucosamine research pages. I started this Blog to promote because I was curious why drinking a nutrient-dense fruit juice gave me such amazing health improvements. This is the first Network Marketing company I've ever been a part of, and it's all because of this wonderful juice. Check out the top 6 for me and read other testimonials here. 1. 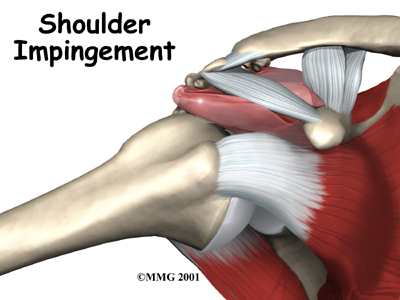 2+ year old "shoulder impingement" problem now gone. 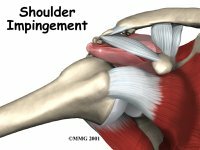 I stopped going to the gym because of how much pain I was in when lifting weights - it literally felt like I was tearing into my rotator cuff and my tendons were going to snap. Within a week or two of drinking my new juice my shoulder pain is gone. 2. I've ALWAYS had trouble sleeping. Now I'm sleeping so heavily and soundly that it almost feels like I'm on a sedative. I'm sleeping 8 hours, whereas before 6 hours was a lot for me, and I was having far too many 1 to 4 hours nights. Not surprisingly my daytime energy now is significantly better. 3. I'll mention energy again because my biggest struggles were in the afternoon. I've noticed that I'm fully energized all day now. I drink 2 ounces in the morning, and 2 ounces at night. Yet I sleep like I'm on drugs, and I wake up much easier instead of clinging to my pillow. What's more is my energy is consistent throughout the day including the afternoon - my former problem time. 4. I'm now drinking less coffee and I "think" it's because my desire is down. I'm only drinking 1 cup now out of habit and because I like it, but now I have no trouble filling a smaller cup, and stopping at one. Before I'd fill up the largest cup, or buy a Starbucks Venti, and go for 2nds, 3rds and even 4th cups. 5. I feel like I have less interest in drinking alcohol, so I'm drinking less. My favorite health book of all time is from the 1990's, Dr Braly's "Food Allergy & Nutrition Revolution" in which he says alcohol "probably" raises a certain brain chemical provided by the Essential Fatty Acids (EFA's). So EFA supplements help. The Acai Berry is high in EFA's, so I'm guessing this explains my decreased interest in alcohol. 6. My overall mood is up too. Any one of the above could explain that - more energy, drinking less coffee and alcohol - but many phytonutrients are linked to lowered depression, and so obviously better moods. Well, I suppose the more problems you have, the more benefit you'll receive from a nutrient-dense fruit juice and the more personal testimonials you'll have. I guess that makes me "lucky" :) I haven't gotten blood work done, but given all of the benefits I've seen, I'm inclined to believe in the claims of those who say their cholesterol has dropped to healthy levels, and those of arthritis suffers who no longer need medication for it. By the way, this is not advice, I'm not a doctor, this is just my personal experience and layman's research. Mention "Network Marketing" or "MLM" and some people will just shut down as they mumble something about "Amway". On the other hand, others respond VERY positively. Last week I mentioned Network Marketing to a friend, and she told me her parents still receive a risidual income of over $10,000 per month from a 10 year old supplement company they particapted in, and they and their family still buys products from. So the responses range wildly and widely. But the fact is that Amway was primarily in the news in the 1970's when the FTC came down with a 1976 decision on their practice of making money off their motivational & instructional materials rather than their consumer products. Author Richard Poe wrote a book in the '90s called "Wave Three: The New Era of Networking Marketing" in which he described the evolution from really bad implementations that deservedly earned bad reputations, to what Network Marketing has become. And here we are nearing the end of 2006 and Richard Poe is saying there is even a Fourth Wave. Two key differences between bad and good MLM's are that 1) bad ones have high "entrance fees", and 2) Distributors are forced to purchase expensive inventories. When they can't sell them, the MLM collapses and everyone but those at the top lose money. So look for companies with a low Distributor fee, where you are NEVER required to buy ANY other promotional material, and the product pamphlets, and there is a lot of information on the internet that is ALL free. Secondly, if you want inventory for Retails sales you can stock up, but you don't have to sell that way. You can just get people to sign up for their own auto-shipment, or place orders as recieved and mailed directly to the customer. 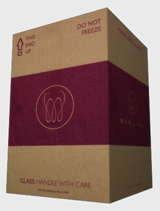 Also choose one where you can stop auto-shipment at any time, and start up your "business" again at any time. The old bad ways are gone from Network Marketing - at least in the good companies. Besides... you can choose to just drink one of the fantastic juices sold via MLM and not sell it yourself. If you watch TV news you probably heard that Chocolate was recently shown to prevent Heart Disease and Cancer. Unfortunately, as general news sources do, they either mis-interpreted the study, or the public just heard what they wanted to hear - that they could freely eat chocolate. But check out this article clearly stating that it is NOT chocolate, but rather "flavanols" found in Cocoa. Chocolate is made from Cocoa, but merely containing "some" Cocoa while over loaded with Sugar and Milk Fat is NOT good. Yet another article found here states that bad harvesting and processing practices can signficantly reduce the flavanols in Cocoa - so you can only imagine what makes it to the American consumer product. After reading these two articles, I'd only eat raw hard chocolate which is harder to find - and NOT eat the candy packaged "Dark" chocolate brands. So what are your options??? Well look at the list in the article I'm referencing. She states that "a wide variety of foods and beverages contain flavanols: Green and black tea, acai, pomegranate, cherries, apples, apricots, blackberries and raspberries, purple grapes, kale and many others." "Others" include Kiwis, blueberries, bilberries, Aronia berry and cranberries. Find these fruits in your high-antioxidant fruit juice and you'll get all of the benefits you need. A friend asked if her Diabetic father-in-law could drink a nutrient-dense fruit juice. After some research I discovered that the lack of fruit is a contributor to Diabetes. So as a Diabetic, getting fruit in your diet is important. The difficulty is finding fruit that is low glycemic. And in this case, a fruit juice that is low glycemic. I started my research at the American Diabetes Association's site and this article on fruit. In general they are saying "fruit is good" but diabetics should be careful not to go over board. They should use blood glucose monitoring to see how fruit works in their body, so doing the same with a fruit juice is probably a good idea. I'm not a doctor, so don't take my advice and consult your own doctor if you have questions or are concerned. The bottom line appears to me that Diabetics should find a low-glycemic nutrient-dense fruit juice BECAUSE they REQUIRE better nutrition. PubMed.gov, a service of the National Library of Medicine and the National Institues of Health, reported on the Antioxidant capacity of freeze dried Acai Berry or "Euterpe oleraceae mart". The reading is technical, but with references to Acai as "exceptional" speaks for itself. "extracts from acai (ah-SAH’-ee) berries triggered a self-destruct response in up to 86 percent of leukemia cells tested"
Have you ever been on a supplement kick? You had a health problem, then read up on the vitamins and nutrients you thought would help, visited a GNC or VitaminShoppe and purchased several bottles of pills. Then you began swallowing them every day. At first it was painful - so many are gigantic. But you figured you'd get used to it, and your health is worth any cost or inconvenience - right? In time, as your health improved, you slacked off. Missed a day here or there, and eventually stopped. If this is a familiar story, then a nutrient-dense fruit juice is for you. Drinking a juice - once in the morning and once at night, is as easy as it gets. Plus it tastes good, and it's only a 1 or 2 ounce shot which is one gulp. Rinse your glass and you're done. Are you a juicer? This might be worse. The clean up mess, the large portions you try to drink, etc. It's just another problem that causes most of us to let the expensive juicer gather dust. Fruit in a bottle is already made, you get it shipped to your home or office, you pour a "shot", gulp it down, and you're done. Order at least one month's worth and see for yourself. Do you need a product whose label shows high levels of nutrients like Vitamin C? Well, not if you believe "phytonutrients" are more important. "Phytonutrients are nutrients concentrated in the skins of many vegetables and fruits, and are responsible for their color, hue, scent, and flavor. To a lesser extent, they are also found in grains and seeds." In the last few years, phytonutrients have been getting greater attention, as more and more research uncovers just how powerful these nutrients are for our health. Phytonutrients are pigments, or more precisely, the biologically active constituents of pigments. They are potent antioxidants that can neutralize free radical damage. Free radicals are highly reactive chemical substances that, if left unchecked, can lead to premature aging and poor health. Clinical trials are now revealing that phytonutrients can enhance the strength of the immune system, and may play a role in promoting good health and longevity. Other studies have shown that the phytonutrients in blueberries and bilberries slow brain aging and maintain healthy vision in rats. It has long been known that plant-based nutrients are among the most beneficial of foods to consume a great deal of and phytonutrients may hold the key to explaining why this is so. Açai, for example, is one of the world's most powerful antioxidants. The benefits of antioxidants have been documented thousands of times over, but these benefits cannot be added to a nutritional facts or supplemental facts panel. Therefore, if you feel a particular macronutrient is important to your diet, you should continue to take the supplements you feel necessary. Dr Lou Niles "Why Antioxidants work"
"Insider Secrets to Marketing Your Business on the Internet"